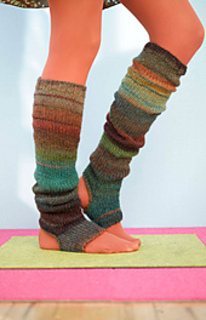 Socks are meant to fit with negative ease - sock circumference should be less than body measurement for a snug fit. 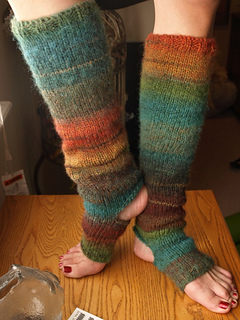 Variegated yarn creates a stripe effect. Design features heel slit. Toe is left open. Knit flat. To finish sew seam. With crochet hook, single crochet evenly spaced around heel slit.